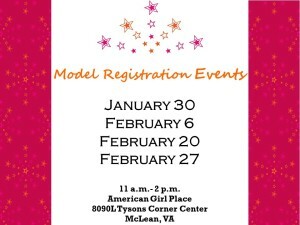 Model Registration opens January 23! 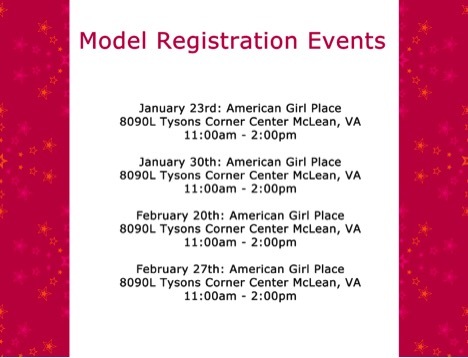 Please come visit us at American Girl Place in Tysons Corner to register your little American Girl to be one of our models! 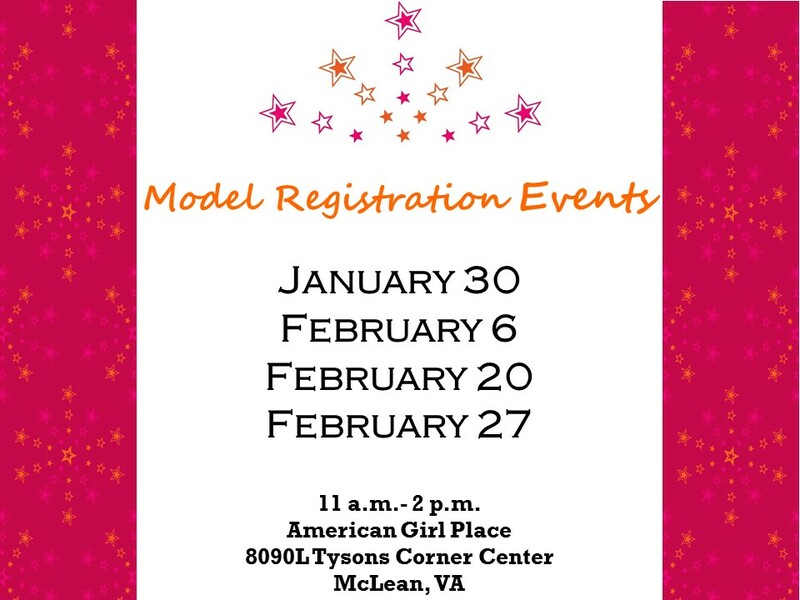 If you cannot make any of the below dates and times you will be able to register online once registration opens.